Candle magic has been around for ages, and it’s by far one of the easiest and most accessible forms of magick that a person can use. Candle magic is also incredibly versatile, and can be as simple or as complex as the practitioner wants it to be. Candle magic is very simply the use of a candle to focus magical energy. Flames have been associated with both focus and magic for a very long time, in many traditions. You’d be hard pressed to find a form of spirituality that doesn’t use candles in some way. 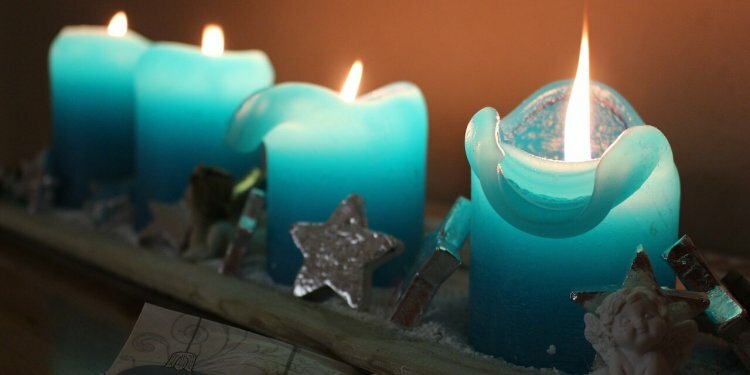 For Pagans, candles are almost always a part of spiritual work. The simplest form of candle magick is just lighting a candle, and focusing your intention on it while watching the flame. You can use any candle you want. Looking into the flame and allowing it to burn focuses and directs energy. The longer the candle burns, the more energy gets focused onto your desire. Colors can add even more power to candle magick. Every color has associations with various energies and moods. By choosing a candle of a certain color, you can add more energy to your work. A perfect example is the use of green or gold candles to attract wealth. Money in many places is green, and gold is associated with wealth, so these colors add to your spellwork. There are loads of books and sites with information on color correspondences. You can use those to find a candle color that will benefit whatever magickal work you’re trying to do. Of course, what the color makes you think of is the most important thing. If you hate green, it might not be a good choice for your wealth spell. Maybe yellow makes you think of money.If so, that’s the color to go with. Your feelings and energy are what really matter in spellwork, not what anyone else thinks. Scented candles can add another layer of power to your work as well. Like colors, scents have associations. For example, a cinnamon scented candle is a great choice for healing magick, and vanilla is good for love spells. For odd scents like “spring breeze” or what have you, make your choices based on how the scent makes you feel. To add even more power to your candle magick, you can carve words or symbols into your candle. You can also anoint the candle with oils. Using herbal oils associated with your desire will add another level of potency to your work. You may be wondering if the shape or type of candle matters in your spellwork. Honestly, it’s all a matter of preference. Some people like taper candles, others like pillars, some like jar candles. Use what feels right to you. I’ve even used birthday candles in a pinch, and they work just as well as anything else. If your intention is clear, the elements you use just add to that. How long you let the candle burn is also up to you. Let it burn for as long as you feel it needs to. Sometimes a spell will work just fine with a small candle that burns for a few minutes, sometimes you just know that you want a big ol’ candle that will burn for hours on end. It’s also totally okay to snuff a candle and relight it later. It may not be safe to leave a candle burning overnight for instance, or when you’re not home. There’s a fair amount of debate when it comes to the practice of using a single candle for more than one spell. For instance, using a large candle for a healing spell today, putting it out, then lighting it again next week for a love spell. Personally, I’ll reuse a candle for the same intention, but not for different ones. This is why I usually buy tea light candles or chime candles that burn up in less than two hours. I’ve used a big candle to do long-running work on the same intention, like healing, but I use small candles for other things. In the end, it’s really up to you to do what feels right. If you’re going to use a large candle for multiple spells or rituals, I’d recommend performing a cleansing on it before each new use so you don’t muddy the energy you’re trying to work with. There’s also some debate about whether to snuff a candle or blow it out. Many traditions consider it offensive to the element of fire if you blow the candle out. Others see no such offense. My choice is a practical one, I like to snuff my candles so that they don’t put that nasty blown-out-candle smell into the air. You should put out your candles in whatever way feels right to you. When it comes to how to perform a candle spell, there are a million right answers. You can light a candle, focus on an intention, let it burn and leave it at that. You can anoint a scented, colored candle, carve a spell into it, and burn it for days. You can use candles as part of a bigger ritual along with herbs, stones, and all the fanfare. It’s totally up to you. Think about your intention and your beliefs, and let the answer come to you. Candle magic is really a wonderful thing to know, and I recommend keeping a few packs of chime candles in various colors handy for whenever you need to do some spellwork.